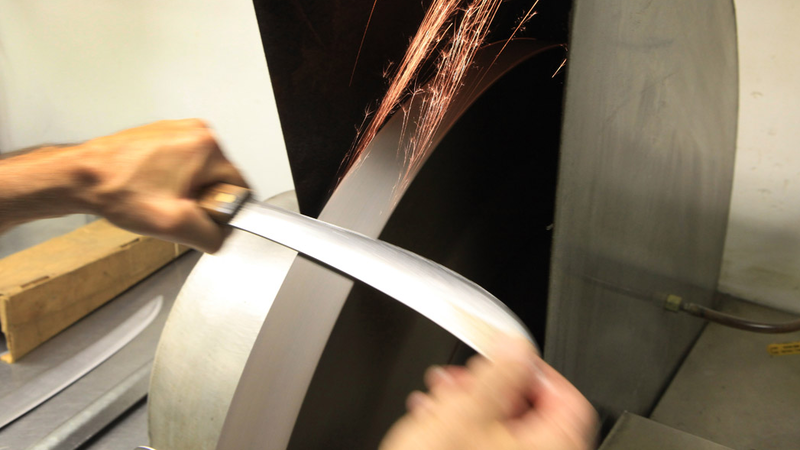 Ambrosi Cutlery has been providing hands-on professional knife sharpening services for four generations. From Bobby’s Deli in small town NY, to the bright lights & big city of world renowned chef, Bobby Flay; customers that previously eluded Ambrosi Cutlery are now flocking to him. One day I’m sitting in a diner and I overhear a conversation that a father was having with his business associate. “I want to grow this business to be profitable and thriving so I can leave my sons a legacy.” That was an arrow to my heart. I couldn’t help myself, I had to help this father realize his dream. And this is where it all began…. 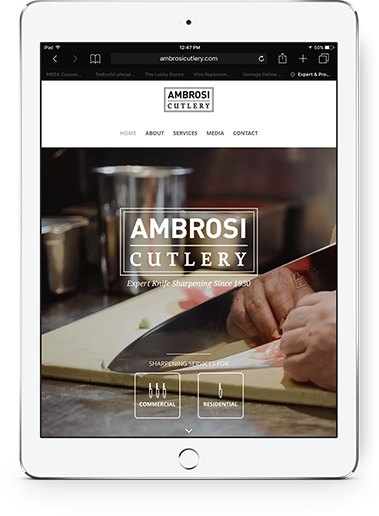 We knew it would take a dynamic website & great marketing to attract an affluent, superstar audience; something that would knock Ambrosi out of the park and into his target customers kitchens. Be a Cut Above the Rest Like Ambrosi! Create a Brand That Will Attract Your Ideal Customer. We're Sharp. We Make It Happen. It takes a village; a production, design & development crew, a team of strategists & implementors to get to the cutting edge. MarkNet wanted to design something different and unexpected; a website that was dynamic, “moving”. We set our sites on video and began extracting moveable parts for the website. As the Executive Producers & Creative Directors, we took raw video footage and meticulously storyboarded the entire website frame by frame. A new brand was brought to life with the new website. We built a site that would appeal to Ambrosi’s target market, and we implemented a hyper-focused Search Engine Marketing campaign. Now, when high-end restaurants are looking for superior knife sharpening services, the Ambrosi brand speaks their language; quality & precision. 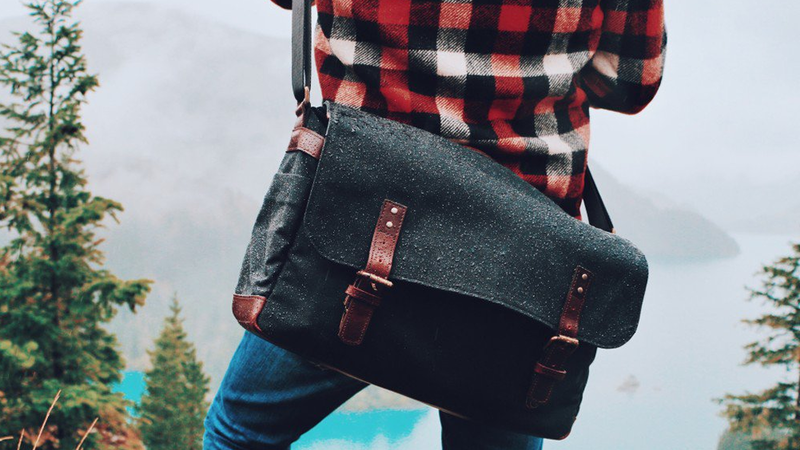 The Ambrosi brand broke away from the pack. He’s now in a league of his own. MarkNet designed & built Ambrosi a custom, attention-grabbing website that attracts his higher-end market of customers, and brings him a huge ROI. Ambrosi ranks #1 for knife sharpening in NYC. His award winning promotional video ranks on Top of Google & YouTube for commercial knife sharpening. 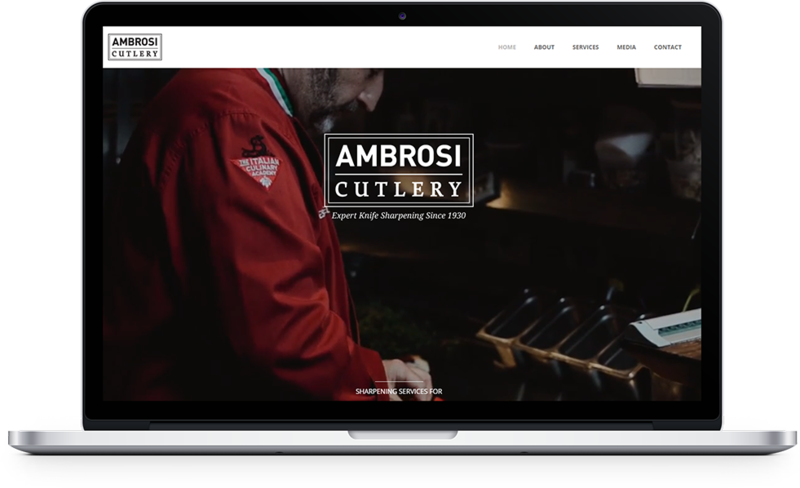 Since the launch of the new website, Ambrosi moved from a 1,000 sq. ft. warehouse to a 10,000 sq. ft. within 2 years of our engagement. Ambrosi Cutlery has become the “knife sharpener to the stars”. His services have expanded beyond local businesses to the elite Chefs & Cooks, and top restaurants in NYC, NJ & CT; sharpening the finest commercial knives in the trade. He is now the premier knife sharpener for Bobby Flay, Yankee Stadium, Citarella, Fairway, Aramark, Fresco by Scotto, Carnegie Hall, PJ Clarks, and the list keeps growing. We Built It. They Came.
" Since the new website was launched, we have an increase of 50% in new online business and we expanded from a 1,000 sq. ft. warehouse to a 10,000 sq. ft. The exposure it has given us, is huge. The site has enhanced our brand & polished our image. It has opened the doors for higher end clients. 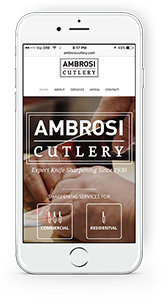 To say it in simple terms, “THE SITE SELLS ITSELF” "
With our ongoing marketing efforts, Ambrosi Cutlery continues to dominate the Fine Dining Scene. I’m excited about the constant growth in our business! 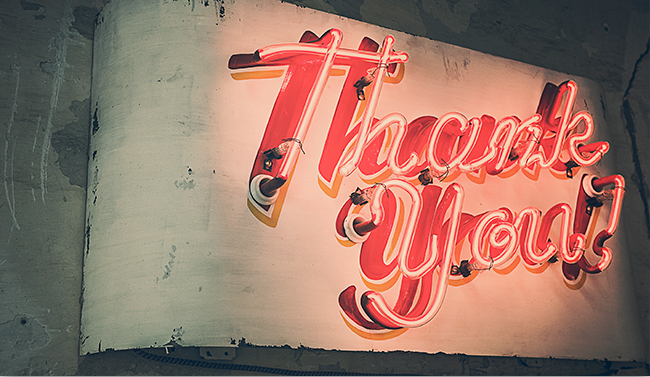 Every day we get new clients; our energy & customer base generates more and more business. MarkNet has been an instrumental factor in our progress and growth. We quickly outgrew our location and moved to a much larger & more convenient location. This is what I live for. The excitement and positive energy feeds on itself. I know MarkNet feels the same way about their business. The technology world is constantly changing; I count on MarkNet to keep Ambrosi Cutlery on top of our game!